With Readly you can read Real Crime Book Of Organised Crime and thousands of other magazines on your tablet and smartphone. Get access to all with just one subscription. New releases and back issues – all included. When criminals get organised, they get even more dangerous. Packed with gory come scene photos, decodings of tattoos and hand signals, and profiles on some of the world’s most wanted criminals, the underworld’s most dangerous groups are featured within these pages. 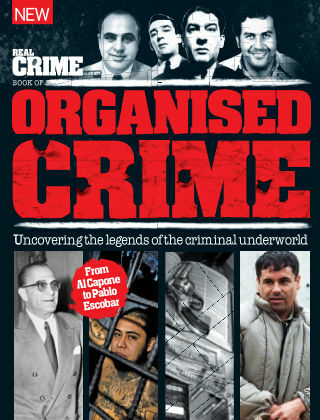 So if you’re ready, let’s take an intimate look at the world of organised crime… Featuring: 20 most notorious gangsters - The most heinous villains of underworld history. Mob Vegas - How the Mafia gave La Vegas style and scale. The luck of the Irish - Was Whitey Bulger an FBI informant for years? The rise of El Chapo - How El Chapo seized his chance to become head of a cartel.